Rubbish isn’t the most pleasant topic, however, it is something that we all deal with on a daily basis. To most people, it is a pretty simple process, if the item is unwanted, they put it in the bin. Hopefully, most of these people have a recycling bin and consider if the item can be recycled before they throw it away. Sadly many people still don’t separate their recycling, because they find it too confusing! It can be confusing, as some councils within Sydney are different from other areas in Australia regarding their recycling capabilities. One of the best things about having Same-Day Rubbish Removal take away your excess junk is that you don’t have to think about what is recyclable and what isn’t – we do it all for you! We make sure everything that can be recycled, is recycled. There is a significant amount of information available regarding what can and can’t be recycled in Sydney, but we thought we’d do our best to summarise it for you below. Fortunately most common types of junk can be recycled! If it is made up of paper or cardboard, it is recyclable! This is a pretty simple one, cardboard boxes, newspaper, magazines, junk mail, general paper items – they’re all recyclable. If the paper or cardboard is covered in food or other non-paper products, it may be discarded when it reaches the recycling centre, so try to make sure that all paper/cardboard products are clean and dry! Containers and packaging are also almost always recyclable! If something came in it and the contents have since been consumed, you should put it in the recycling bin. You don’t actually have to clean the items, but it is important that they’re empty and dry. For all types of bottles it is ideal that their lids are taken off. If doing so is going to make a mess of your bin, give it a rinse as this will be best for your bin and for getting recycled. There are some items that sadly can’t be recycled, but it is still important to try and dispose of these responsibly. Rubbish is actually sorted by people at recycling centres, and they’re working in a hurry. Anything that could be harmful to them shouldn’t be recycled. Broken or easily breakable glass such as light globes, drinking glasses, windows and mirrors; sharps and syringes; contaminated items such as nappies are a few good examples of what shouldn't be recycled. Polystyrene foam is also unable to be recycled, this is probably due to the nature of it, being so light, it can easily get on and in everything! Some items aren’t able to be recycled in your curbside recycling bin, but that doesn’t mean you should throw them in the general waste bin either. Soft plastics such as plastic bags, and plastic wrap found on various types of packaging, can’t be recycled in your normal recycle bin, but can be taken to bins located at most supermarkets. These types of plastics are recycled into items such as outdoor furniture. Batteries and e-waste are another type of item that shouldn’t be placed in your general garbage bin due to environmentally damaging chemicals, but they may not always appear recyclable. There are many locations such as libraries that often have e-waste recycling facilities. For further information on what can and can’t be recycled, there are some handy apps such as ‘Sustain Me’ which can help you work out what can and can’t be recycled. 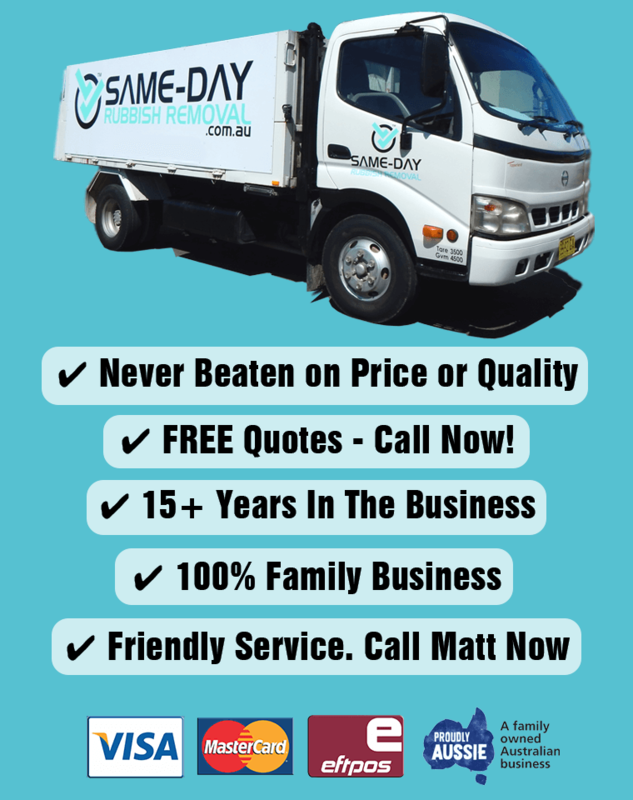 If you’ve got excess waste at your Sydney location, call Same-Day Rubbish Removal today. We’ll make sure that wherever possible, your junk is recycled. 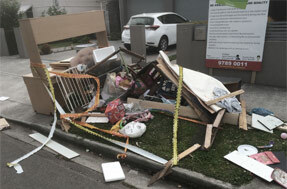 Our team have been doing waste removal in Sydney for over a decade - you won't find a more experienced team. Our service is fast, easy and affordable. 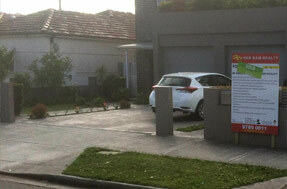 Pick up your phone, our number is 0402 737 046, we look forward to hearing from you!